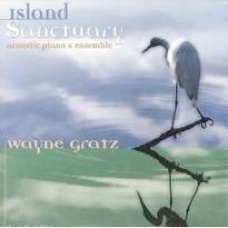 Wayne Gratz released his debut album, Reminiscence, on Narada Records back in 1989 and quickly became one of the leading pianists on that now-legendary label alongside such notable artists as David Lanz, David Arkenstone, Michael Gettel, Michael Jones, and Kostia. Many albums later, Gratz formed his own label in 2002, and An Eagle’s Zen is his ninth release on Wayne Gratz Music. 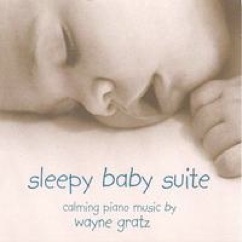 The majority of Gratz’s albums have been piano and at least one other instrument, but this album is all solo piano and features Gratz at his most reflective and expressive self. I truly think this is his best album yet. The understated cover artwork is a lovely prelude to the fourteen original tracks inside, which slip easily into the background but are so rich and soothing with focused listening. An Eagle’s Zen opens with the title track, a beautiful piece that expresses graceful movement and the freedom of flight. Watching eagles in flight or even just sitting on the shore is truly breathtaking, and Gratz captures that feeling so well. “A Whispering Heart” was inspired by “a true animal lover” and overflows with gentle kindness. “My World of Colors” has a slow, swirling movement that is hypnotic and very soothing. The simple beauty of “Finding Lost and Found” seems to express a child-like innocence yet feels solitary and kind of lost, but without fear - a favorite. “Intuitive Improvisation” has the quiet sincerity and elegance of someone openly expressing what’s in his heart while at one with his piano - also a favorite. “A Short Time Away” is classic Wayne Gratz with a poignant, pensive melody, lots of open space between the notes, and a simple accompaniment. “Trees of Summer” paints an Impressionistic picture of trees gently swaying in a summer breeze while offering welcome shade from the heat. “Far South as I Can Go” is an intriguing title, and the piece is quietly introspective, expressive and very beautiful - I really like this one, too! “Discovering Brown’s Bay” conveys a relaxed, contented feeling as well a sense of moving forward, delicately trailing off at the end. “Flowing Away” is played with the open freedom of a thoughtful improvisation, expressing heartfelt emotion without the structure of a more composed piece - something Gratz has always done very effectively. “Time Always Follows” is another intriguing title and the grace and peacefulness of the music brings this excellent album to a quiet, reflective close. 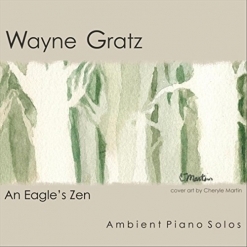 If you have been a fan of Wayne Gratz’s music back to the Narada days, An Eagle’s Zen will not disappoint - not even a little bit! If you are new to Wayne’s music, jump on this one and check out some of his older albums as well! 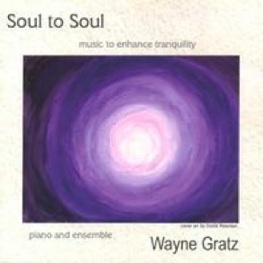 An Eagle’s Zen is available from www.WayneGratz.com, Amazon, iTunes and CD Baby. Very highly recommended!